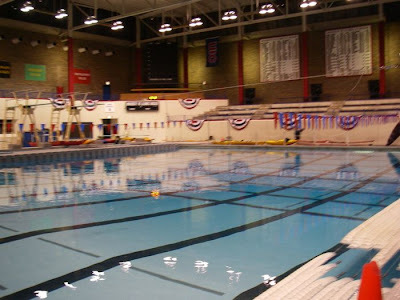 Indoor paddling? Play's the thing! We weren't looking forward to the indoor paddling season this year. In the past, we made good use of true "flat water" time to practice specific skills like rolls, braces and rescues. But these days, the things we want to practice require space and waves. There's just no good way to work on surf landings indoors. But we've been pleasantly surprised to discover that this has actually been a very fun and productive indoor paddling season, thanks in large part to our BCU training (with Bill Lozano of BCUNA, Scott Fairty of Geneva Kayak Center and Kelly Blades). We credit the BCU with helping us get out of our work-on-a-specific-skill mentality and into more of a learn-by-play approach. In the coming weeks and months, we'll post some of the games we've been playing, along with photos and videos. If you have some to share, please post them in our comments. 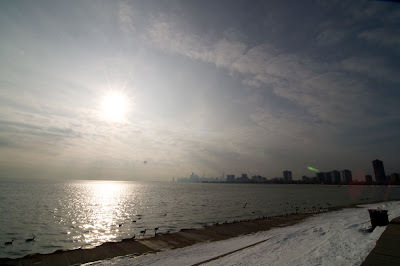 After two weeks of frigid weather, the air temperatures returned to the 30s and we considered paddling on Lake Michigan, ice permitting. 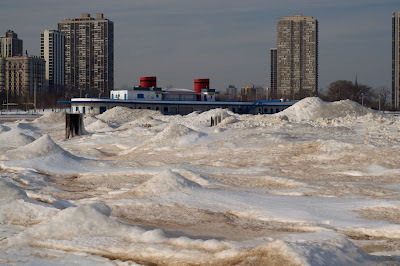 The North Avenue beach house behind waves of ice and snow. 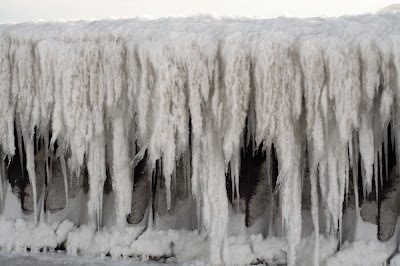 Curtains from ice drape over the North Avenue jetty. 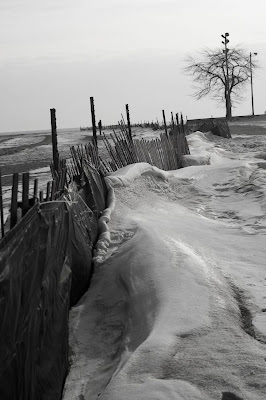 A snow fence does its best to keep the ice out. 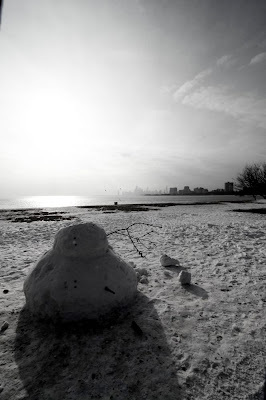 A lonely snowman guards the beach. 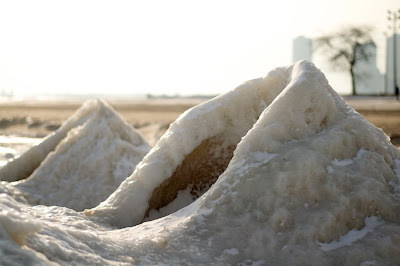 There was some open water, but no safe access to reach it. We're taking a few weeks off. Check back in mid-January.